Grab a big bowl of Japchae Korean glass noodles with tofu! Each bite is packed with healthy vegetables and plant protein for a delicious gluten-free meal. Today we’re going to make your NEW favorite dish, japchae Korean glass noodles! Have you tried them before? The noodles are unique because they aren’t your typical flour or rice-based dough. A special ingredient creates luxurious, see-through noodles with a chewy texture that is quite addictive. A savory sweet soy sauce gets infused into each noodle, plus an abundant amount of vegetables and tofu are added for a complete meal. You won’t realize that you’re almost down to your last bite, time for seconds my friend. If you’re ready to try something different or already a fan and want to make japchae right at home, I’m ready when you are! What makes these Korean noodles so special is that they’re made with sweet potato starch. What? Yes, it’s a real thing, I swear, and it’s amazing. The noodles come in these super long bundles that are a light gray in color. Once cooked they become a transparent silver noodle, like looking through “glass,” hence the name. So clever! The noodles are so long that they need to be cut into smaller strands after boiling unless you like twirling your chopsticks for days and end up with a huge noodle ball. I’d actually like to see that! The sweet potato starch-based noodles do an excellent job absorbing all of the savory sauce. The sticky strands aren’t “saucy” on the outside like normal pasta dishes. Instead, all of the bold flavors are trapped inside each noodle and delivered straight to your taste buds. To add more texture and nutrients, shredded carrots, onions, garlic, and blanched spinach are tossed in with the noodles. I added some tofu to the dish for extra protein, plus my toddler James will eat anything with tofu! Homemade healthy comfort food at it’s best. Grab a few bowls, people that make your heart smile and get ready to grub! What are your other favorite Korean dishes? I’d love to hear! What do sweet potato noodles taste like and how do I cook them? Korean sweet potato starch noodles (dang myun), are very neutral in taste. This allows them to grab any flavors from a sauce or other ingredients. Once cooked they are thin, chewy, stretchy and a glassy transparent color. The noodles are cooked very quickly in boiling water for about 5 minutes until rehydrated and chewy. 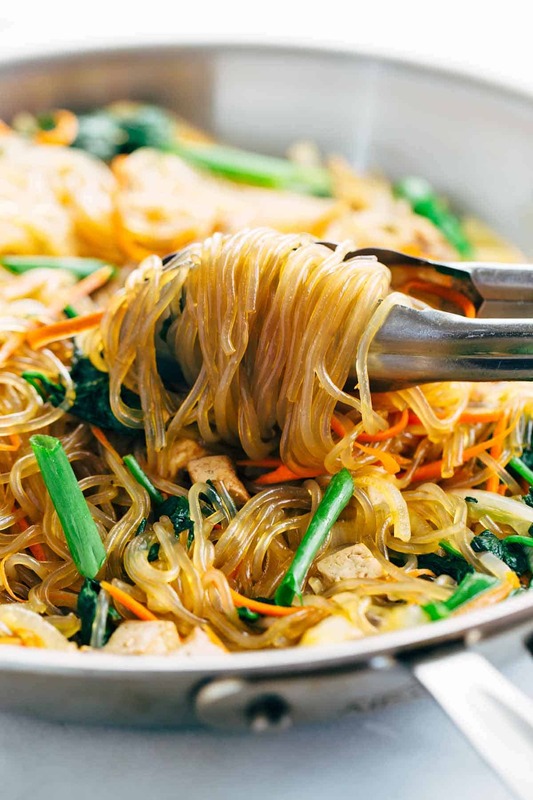 Typically for the Japchae (or chap chae) stir-fried noodle dish, the noodles are cooled under running water to stop the cooking process and drained before adding to the pan. Make sure to cut the noodles into shorter strands to make it easier to grab with chopsticks. These noodles are perfect for stir-fries or even added to soups. Plus they are grain and gluten-free! Grab a big bowl of Japchae Korean glass noodles with tofu! Each bite is packed with healthy vegetables and plant protein for a delicious gluten free meal. In a medium-sized bowl whisk together soy sauce and honey. Add tofu, gently stir to coat and allow to marinate while you prepare other ingredients. Bring a large pot of water to boil, enough to fit the noodles. Cook noodles in boiling water for 5 minutes. Do not discard water. You will use it for blanching the spinach. Use tongs to transfer to a colander and rinse noodles under cool running water. Cut the noodles into 6-inch long pieces with scissors. Set aside. Blanch spinach in the same pot of water that you cooked the noodles for 1 minute until wilted. Drain the water and rinse under cold running water. Form spinach into a ball and squeeze out excess water. Use a knife to cut the spinach ball in half. Set aside. Add 1 tablespoon oil and allow to heat up. Add onion, garlic, mushrooms, and carrot, saute for 2 minutes. Add scallion and saute 1 minute. Add tofu and cook 1 minute to warm (do not discard sauce). Turn heat to low and add noodles, spinach, sesame oil and sauce. Gently stir to combine until noodles are coated with the sauce. Serve topped with sesame seeds. 1) If you're looking for a stronger sauce flavor, add an additional 1 tablespoon soy sauce and 1 ½ teaspoon honey. 2) Maple syrup, coconut sugar or granulated sugar can be substituted for honey. 3) You can use dried shiitake mushrooms. Rehydrate for 10 minutes in hot water, then slice. The taste will be stronger but gives a nice umami flavor. Thank you for the excellent instruction , will try this week. Thank you for your reply i have both ranch 99 and mitsuwa local to me now i have seen the photo on amazon you sent me i will know what to look for. I too love thus dish and wanted to make it at home thankyou looking forward to making it ? Thank you for posting this! I love japchae noodles and I rarely get to find a vegetarian version. I wish I had seen the note about extra sauce for a stronger flavor before I made the dish, but that just means I’ll be making it again! What did you use to get your carrots to look so noodle-y? You are so welcome! I’m glad you liked it, the extra sauce will be really yummy next time 🙂 I found this vegetable peeler at the Japanese market that shreds carrots into longer pieces. You could also use a spiralizer or just cut the carrots into longer thin strips. Thanks for the japchae recipe. I have had some really good spicy Korean fried chicken – I read somewhere it is a popular bar food because people want to drink more beer with this chicken. 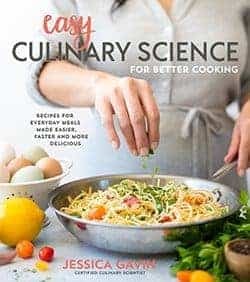 I wish I could find a recipe similar to the kind I’ve tried. I have no intention of being rude, but I would like to express my opinion; this tasted very bland. Hi, I will be making this tonight. What serving size are you basing the nutritional information on? Thanks. Great questions Alison! It’s about a 4 serving recipe, so 2 ounces of noodles, 1/4 cup of tofu, 1 ounce of spinach, 1/8 cup carrots and a quarter of the sauce. I have a question about the serving size and calories. If 2oz of noodles (57g) is 200 calories, how is each portion only 217 calories? Do all the other ingredients only equal 17 calories? Hi Hannah- Thanks for the note! I recently migrated the nutrition info and updated this one to reflect the right content per serving. Delicious. Made this – this week for myself and my husband (who is a die-hard meat lover) absolutely loved it. He said its the best japchae he has ever had. Easy and definitely recommend! Thank you so much for the easy jack have recipe…I’ve always loved these noodles but never thought I would make it at home. My kids loved it. I can’t wait to hear what you think Vic! A friend of mine gave me the glass noodles and I had no idea what to do with them. I found your recipe. It was amazing.!!! Easy to make and adapt to ones taste. I added a little more mushroom and would add extra spinach. Very very tasty, easy and good. Thank you for sharing. I would never have known how to cook or what to do with these noodles otherwise. Thank you Marlene! I’m so glad that you found a yummy way to use the glass noodles with the recipe 🙂 Great idea to add more spinach and mushrooms! Hi, I want to try your recipe this week. How can I make the japchae spicer? You can add either red chili flakes, sriracha or any chili sauce you like to the sauce, at the level you like. I love that you want it spicier! Hi Jessica! Are the mushrooms necessary for the favor? If so, Is there a substitute? 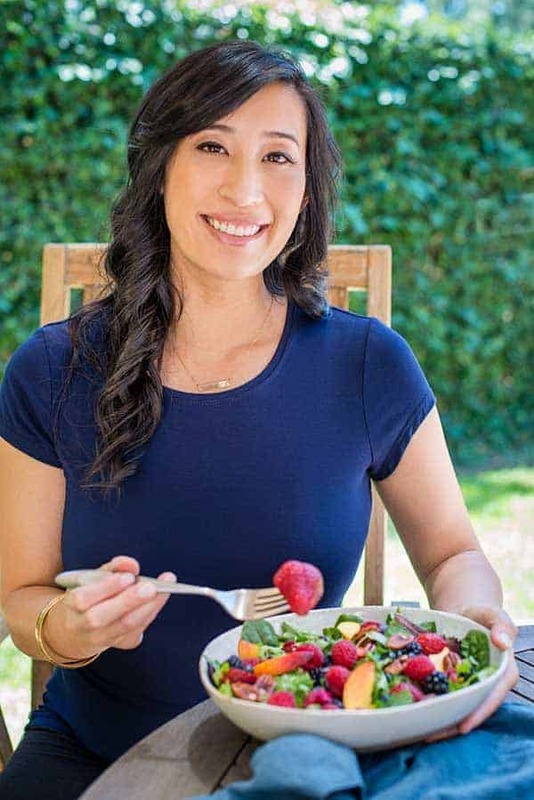 Hi Brie- I’ve found it adds a nice umami flavor to the noodles but can be omitted if you don’t like mushrooms. I’m so thrilled to hear that you enjoyed the recipe SK! I’m curious how similar rice noodles are to these noodle you list. I had always known rice noodles as glass noodles. Great question Jen! I find that the Korean potato starch noodles are clear in color, but they also have a more chewy and stretchy texture. The rice noodles are also delicate but have a clean break when you bite into it, with not as much elasticity. I believe that the glass or cellophane noodles made from mung bean flour look similar to rice noodles, white and opaque, but have a little more chew. I can’t wait to hear what you think Pete! I stumbled upon this recipe from a quick “vegetarian japchae recipe” Google search, and I’m so glad that it turned out super tasty! I’m getting into cooking my own meals (as it is healthier and cheaper) and the only thing I’d say to the person who said this recipe tasted bland is that it’s not, it just tastes lighter than japchae from restaurants. I love the lighter taste as it makes me feel like I’m not eating something terribly heavy, and I did cut down the vegetable oil so as not to make it too greasy (still used the same amount of sesame oil though). This was a great recipe overall. Thanks! This sounds really good and easy to make. I will give it a try this weekend. Just wanted to ask real quick, for the scallions, do you cut it length wise to create long pieces or cut slanted or in circle? Or does it matter? Question: can the oil be omitted from the recipe or will that result in sticky noodles? I’m currently not consuming oil but I have some of these noodles and I’ve been dying to make them! I think you can remove the oil if you use a nonstick pan for cooking the vegetables. Or you can steam the vegetables in the microwave until tender and then combine with the noodles and sauce.